While we feel sorry for everyone involved when a hurricane strikes, we must also spare a thought for the poor animals who are often left behind when families are forced to flee their homes. That&apos;s exactly what happened to one poor pooch who was abandoned when Hurricane Florence hit North Carolina who, leaving him trapped outside a house in Lumberton when the River Lumber burst its banks. 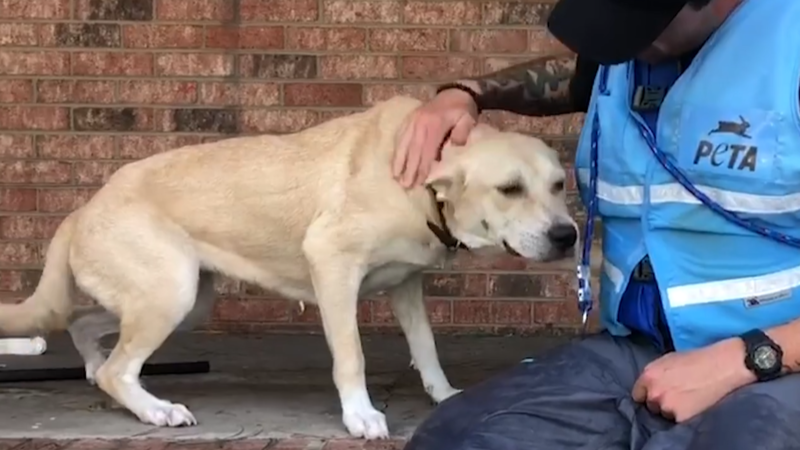 As flood waters clogged the town and reached the height of the porch where the dog was trapped, the dog&apos;s prayers were answered when staff from PETA came to rescue him from his plight. The rescues plowed their way through the water towards the four-legged fella who was visibly terrified of its surroundings. One rescuer took a seat on the porch and called the dog over to him before stroking him and making him feel at ease. 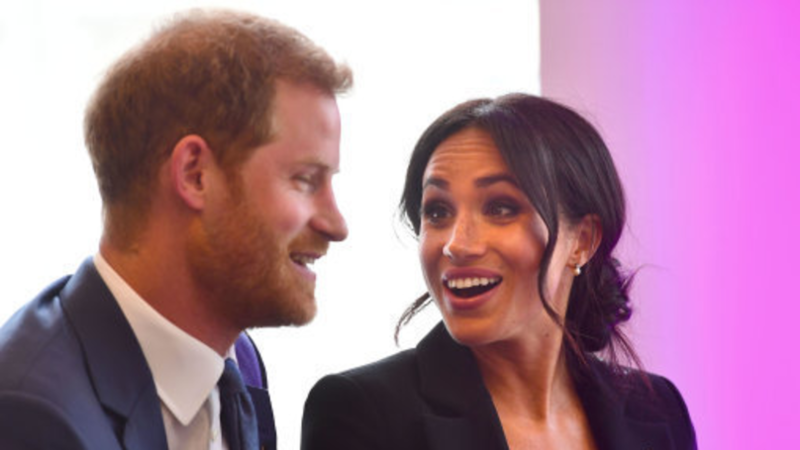 Soon enough, the pooch&apos;s tail began wagging, clearly gaining some comfort from the rescuer&apos;s affections despite still being extremely cautious. PETA staff then took the poor doggo an area set up for stranded pooches before they could be moved to nearby shelters. 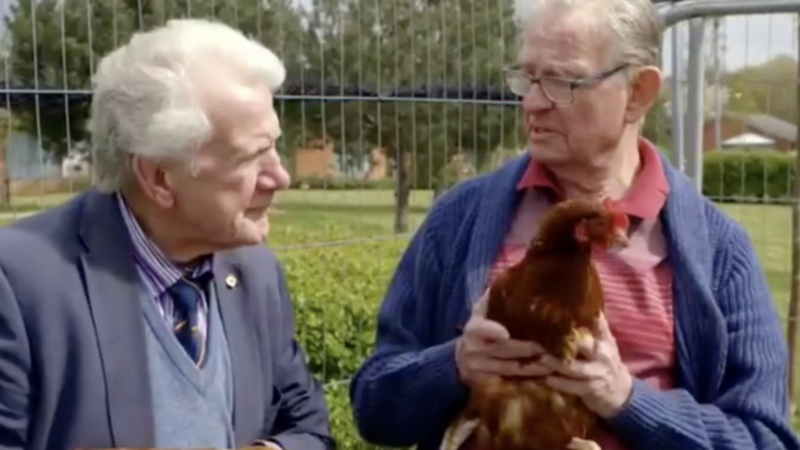 Sharing the heart-warming clip on Facebook, PETA wrote: "RESCUED! 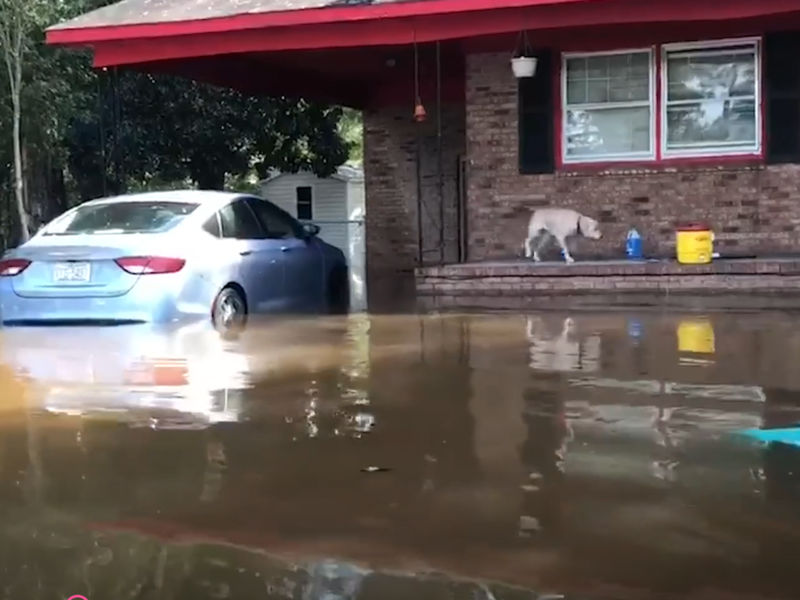 PETA&apos;s rescue team spotted this scared and abandoned dog in Lumberton, North Carolina on the porch of a flooded home with no way to escape the rising #HurricaneFlorence flood waters and were able to bring him to safety." Unfortunately, dogs aren&apos;t the only animals who&apos;ve been left to send for themselves under the dreadful conditions, as the animal welfare charity also shared a clip of a cat and its kitten who had been forced to hide under some bins. The message alongside the video read: "RESCUED! 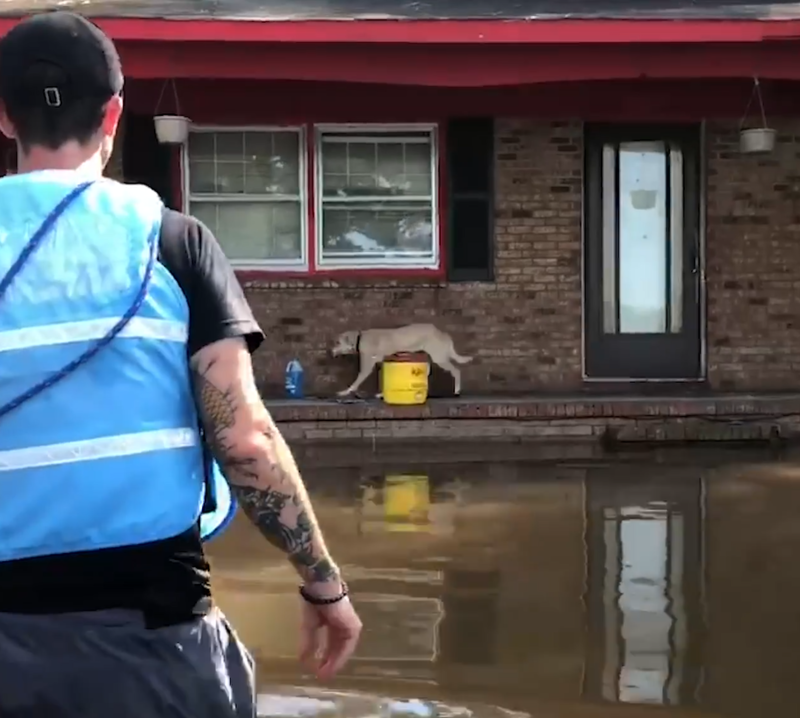 Our rescue team found #HurricaneFlorence survivors in a flooded neighbourhood who said there were cats in need of rescue. The team discovered a scared mama cat and kitten huddled behind trash cans on a back porch, surrounded by flood water. They took the family to safety."